I have two similar containers. One of them came with a set of kitchen utensils, and I have used it ever since. The other one I bought when I had toddlers. My sharp knives were usually in the kitchen drawer. When my son started to open drawers and copying us, I decided that it was not longer safe to keep sharp knives there. 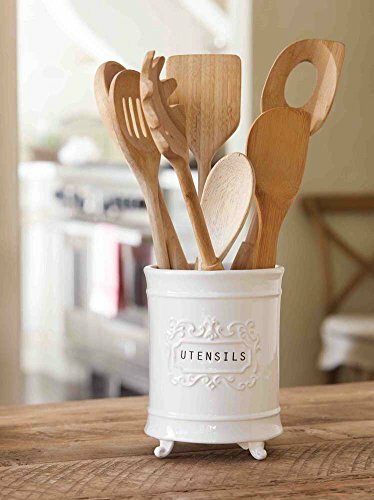 So I bought one of this kitchen utensil holders and put all my sharp utensils there. I placed the holder far back in the counter, where my son could not reach it. Mine are next to my hot plates, so when I need to cook I have my utensils right next to me. 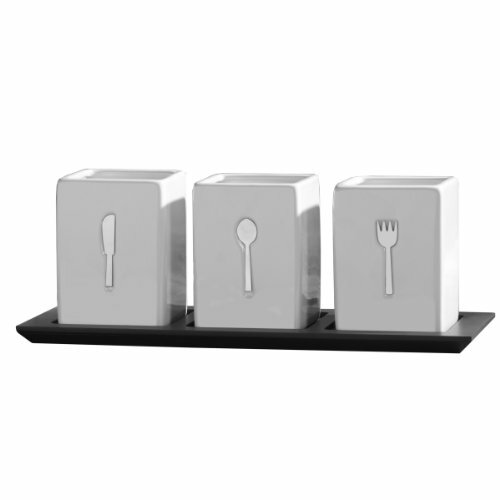 All spatulas and serving spoons are kept in one. The other one has all sharp knives, dangerous forks and kitchen scissors. 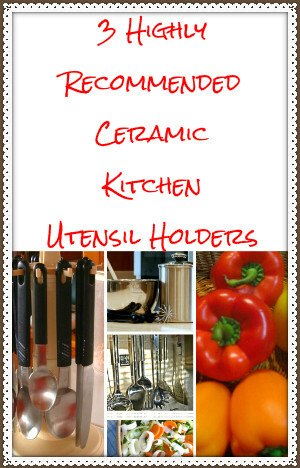 If I did not have this utensil holder I would need to put these in my utensil drawers. This would clutter my drawers. Ceramic is nice, easy to clean and looks better than plastic ones. 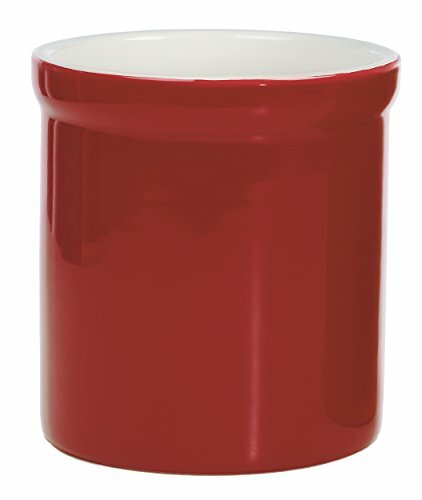 They’re stain resistant, won’t tip as easily with long-handled utensils and come in great color options. They also hold their color over time. I definitely like that it saves me space and that it keeps my dangerous utensils away. It is also convenient to have the cooking utensils next to the hot plates. This way I do not have to walk back and forth. I particularly like the 3-piece ceramic caddy on the wood tray. That would be ideal for the dining table, especially when you are having a party. Set your forks and knives there and take it to the table.